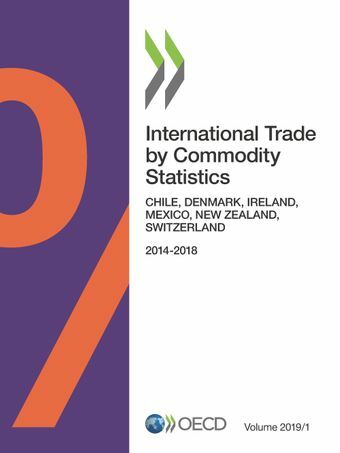 This reliable source of yearly data covers a wide range of statistics on international trade of OECD countries and provides detailed data in value by commodity and by partner country. The first four volumes of International Trade by Commodity Statistics each contain the tables for six countries, published in the order in which they become available. The fifth contains seven countries and the sixth volume also includes the OECD country groupings OECD Total and EU28-Extra.For each country, this publication shows detailed tables relating to the Harmonised System HS 2012 classification, Sections and Divisions (one- and two- digit). Each table presents imports and exports of a given commodity with more than seventy partner countries or country groupings for the most recent five-year period available.